NEW DELHI: The environment department of Delhi government has launched a drive to check compliance of the blanket ban on use of plastic bags across the city. As part of the drive, 25 teams from the environment department carried out checks in all shopping malls and five-star hotels in city. The teams found violations of the ban in over hundred shops and action would be taken against the violators. Last month, the government had imposed the ban on manufacture, sale, storage and use of plastic bags as per provision of the Environment (Protection) Act, 1986, under which violators could face imprisonment up to five years and fine of up to Rs 1 lakh or both. As per the set rules, the use of plastic cover or pouch to pack magazines, invitation cards and greeting cards will also be prohibited. 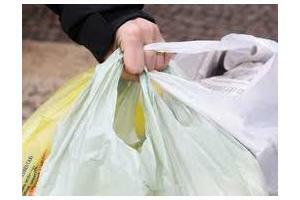 To start with, the government will only focus on plastic carry bags and will not target packaged food and materials. Authorities like civic bodies, NDMC, Environment Department and Delhi Pollution Control Committee were tasked to implement the ban. Plastic carry bags, as specified under the Bio-Medical Waste (Management and Handling) Rules, 1998, are not covered under the ban. The plastic manufacturers had knocked the door of Delhi High Court challenging the notification but the court has not pronounced any order on the issue.